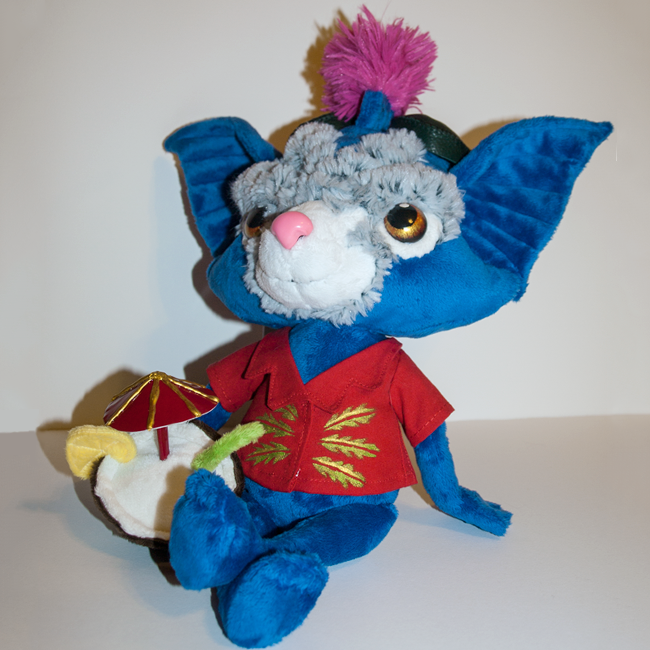 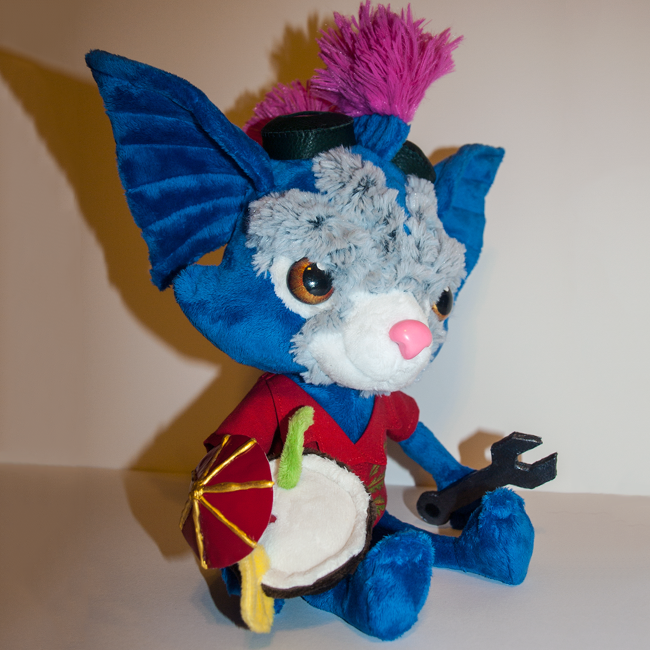 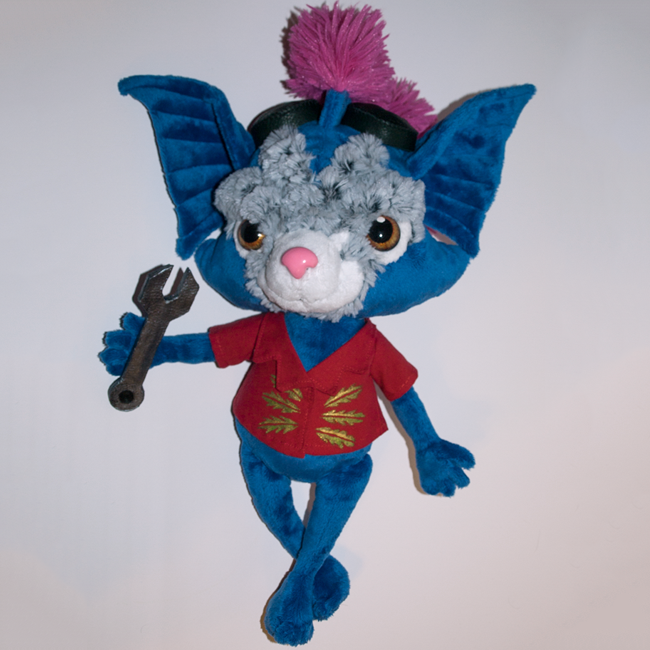 A cute plushie of Rumble, the yordle small of stature but big of aspiration. 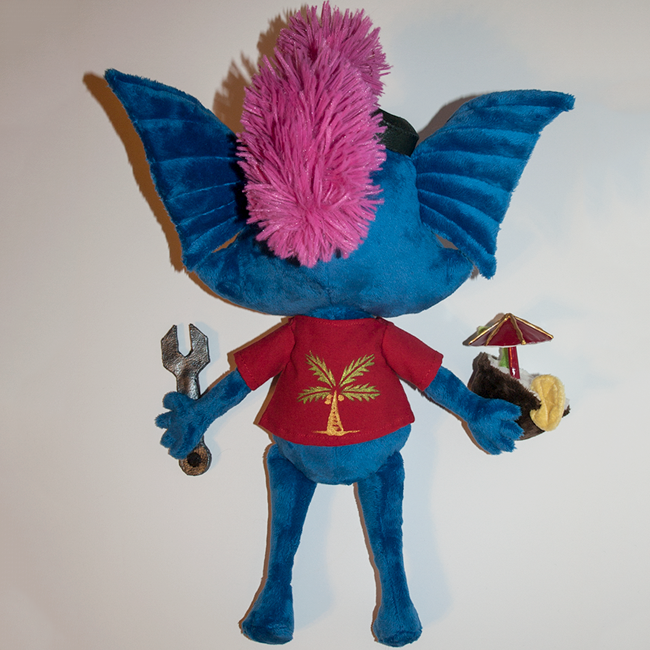 He may not be driving his mecha right now, but he still packs a determined attitude and quick temper, even in the Hawaiian casual wear of his "Rumble in the Jungle" skin. 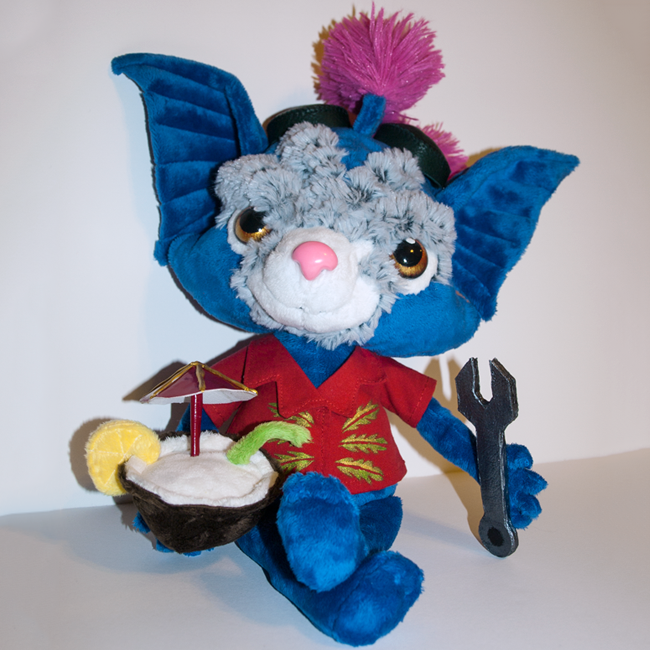 The plushie is made from minky for a soft, cuddly touch and bubbly look. 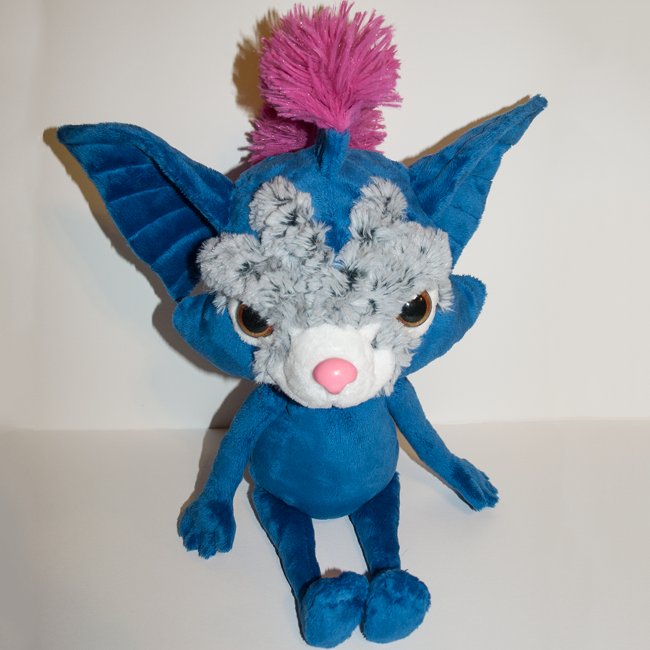 His nose and eyes are made of polymer clay, hand painted and finished with a shiny acrylic clear coat for realism. 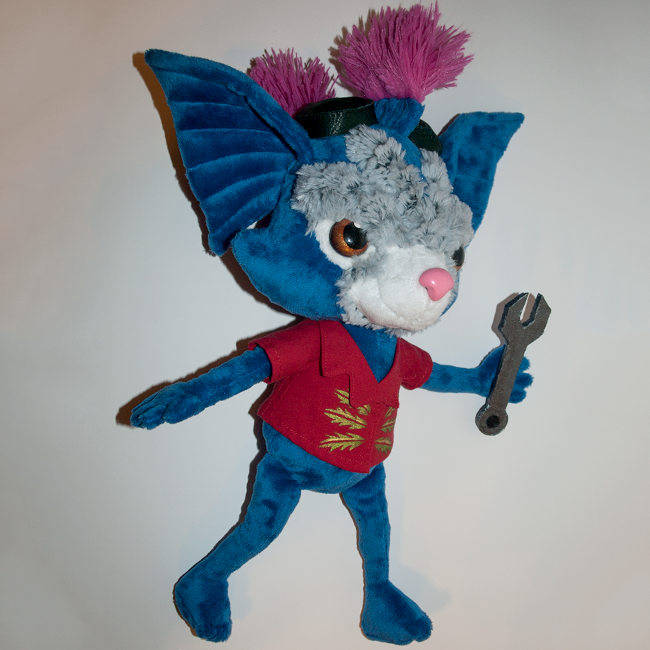 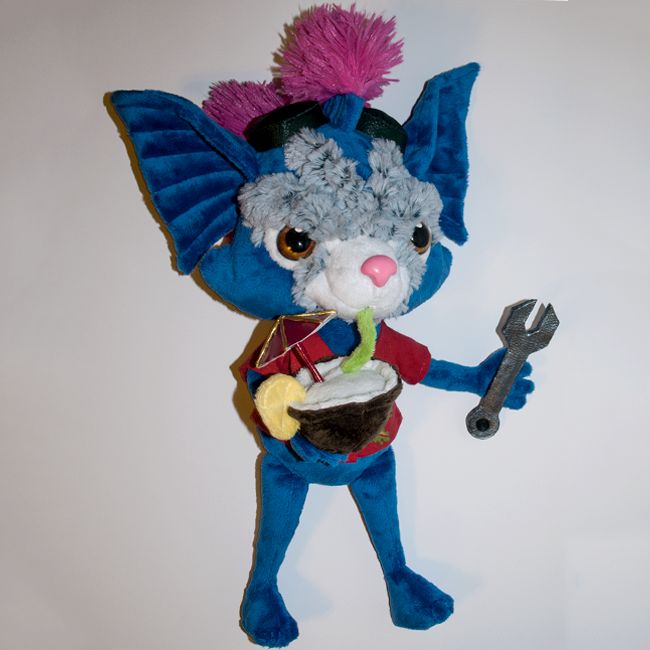 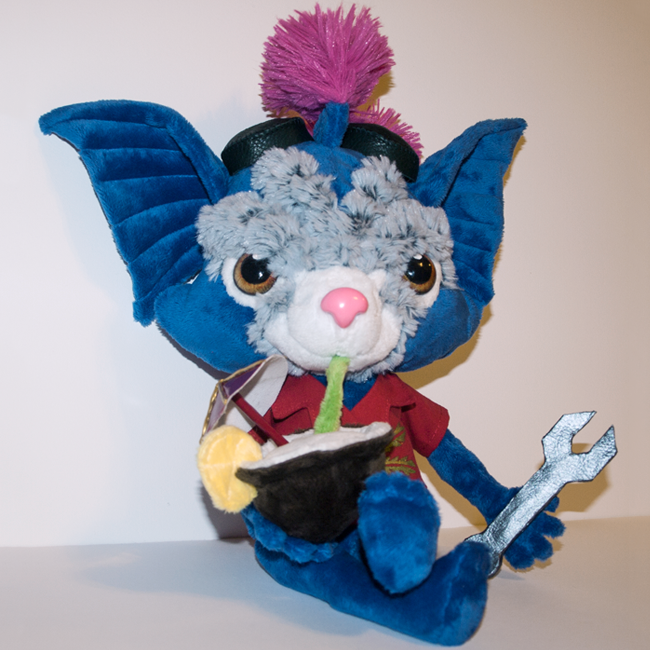 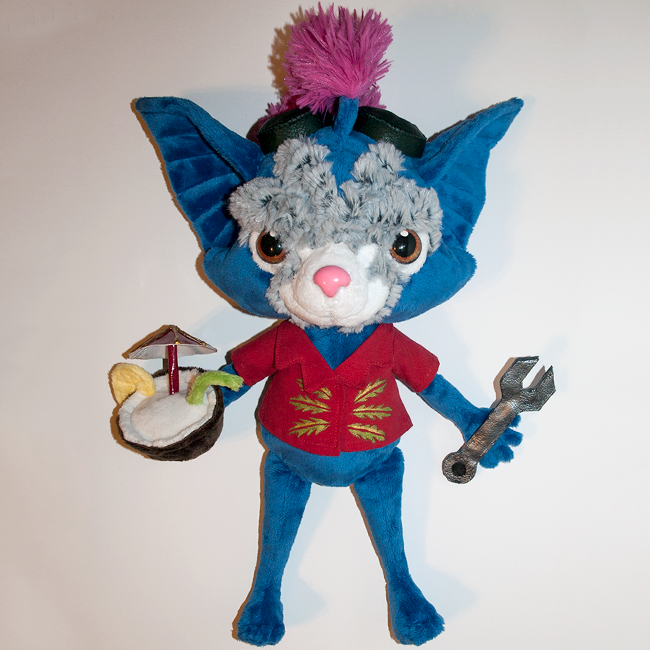 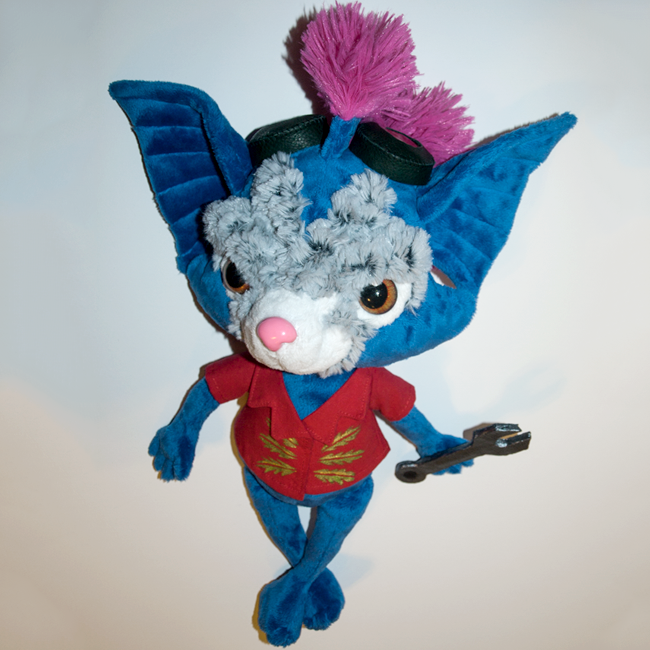 He has leather/pleather goggles, a pleather wrench, and a minky coconut drink, which are all attachable/detachable via magnets for some fun variation. 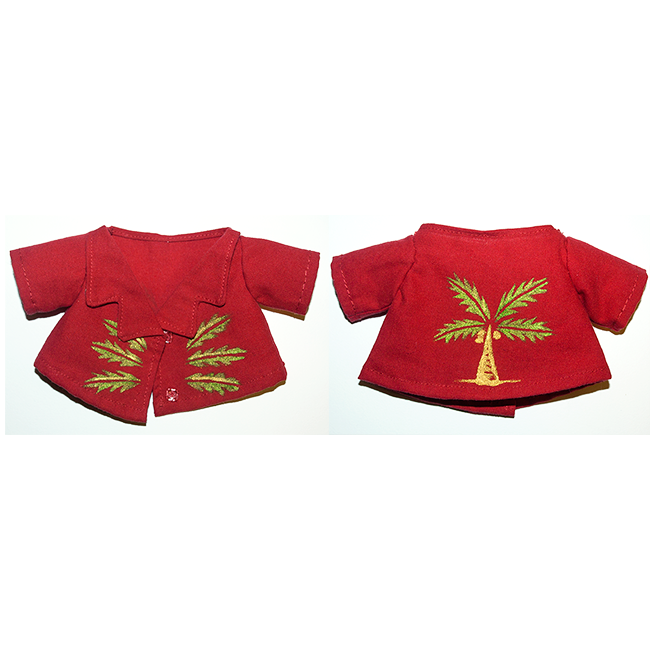 His shirt is made of cotton, the details painted on top, and has two snaps in the front to be optionally removable.